Braamfontein Alive: Xiamen University Scholarship To Study In China. 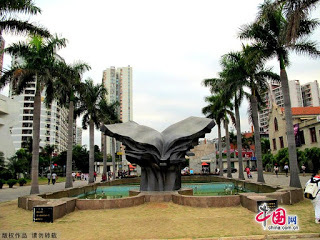 Xiamen University Scholarship To Study In China. XMU offers scholarships to doctoral, master’s and undergraduate candidates. Scholarship awardees will have their tuitions covered (a maximum of 3-4 years for doctoral programmes, 2-3 years for master's programmes, 4-5 years for undergraduate programmes). Moreover, XMU provides monthly living allowances for outstanding master’s or doctoral candidates in accordance with the standards of Chinese Government Scholarships. The awardees' academic performance will be assessed each year and only those achieving the required standard will have their scholarship renewed for the following year. The University offers scholarships to doctoral, master's and undergraduate candidates. The first-class scholarships for doctoral and master's candidates will have their tuitions covered (a maximum of 4 years for doctoral programmes, 2-3 years for master's programmes) and offer monthly living allowance (RMB 3,500 for each doctoral student; RMB 3,000 for each master's student). Undergraduate candidates will not be provided with the first-class scholarship. The second-class scholarships will have the awardees' tuitions covered (a maximum of 4 years for doctoral programmes, 2-3 years for master's programmes, 4-5 years for undergraduate programmes). ② Applicants can fill in and print out the Application Form for XMU Scholarship (click to download). Send by post to XMU Admissions Office by 30 April 2016 the two forms and other required documents. Applicants are expected to keep their phones open and check their email regularly as XMU Admissions Office will contact them when necessary.